Can you describe where the inspiration for your label comes from? The inspiration for SOLLIS jewellery come from the decorative arts and crafts of world cultures. I love, for example, the bold colours of Massai tribal jewellery, African wax print fabrics and the patterns in Ikat weaving. 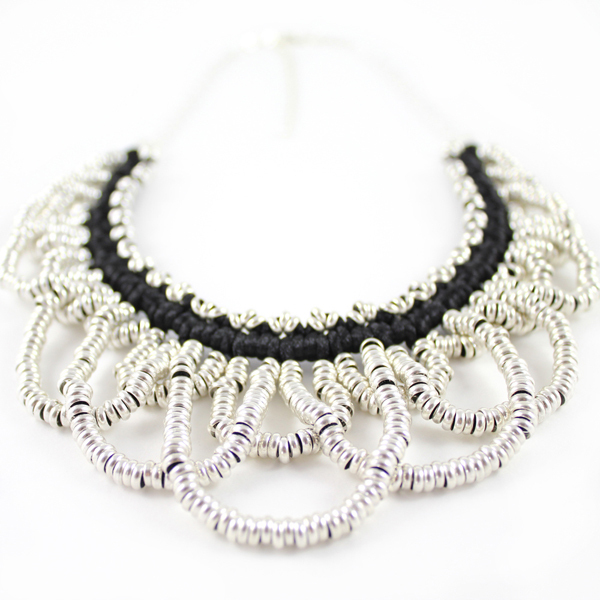 I like to spend my time learning craft techniques from past and present and re-appropriating them with a modern fashion twist into beautiful jewellery. What is your creative background and how has it lead you to where you are today? I have been working in the jewellery industry for almost 10 years. 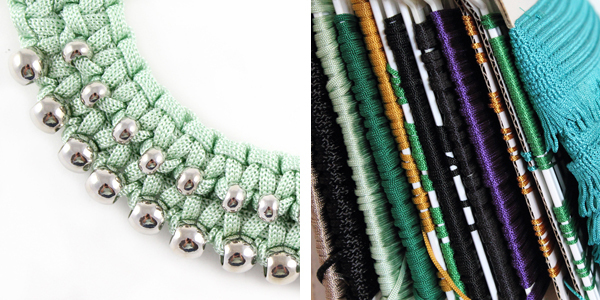 I studied BA Jewellery Design at Middlesex University, London and then MA in textiles at Goldsmiths College, London. Since completing my studies I worked for a few different jewellery design companies in London, including Erickson Beamon and Kirt Holmes. In 2006 I started my own label, Eleanor Jewellery and have sold to many shops around the world. I also do freelance design work for other companies, including collections for Swarovski. In 2009 I relocated to the sunshine of Australia and 6 months ago I began my new jewellery label SOLLIS. I launched my label 6 months ago and taking part in Finders Keepers markets in Melbourne has been my highlight, of course!!! Can you tell us about the materials you love working with and how it makes your label stand out? 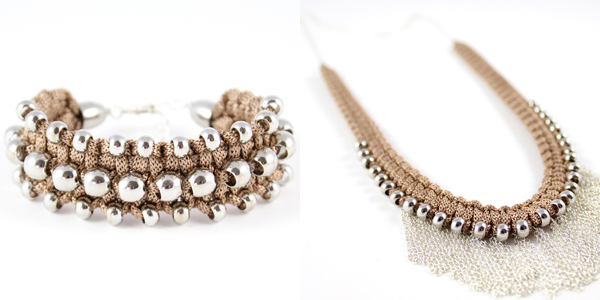 I love working with the soft silkiness of cord and combining this with metal beads and chain. Look out for my next collection which will include chunky agate stones as well. As these materials are not traditionally used together in jewellery I think it makes the designs stand out as something a little different. What is your workspace like and what is your design process? My work space can get a little messy at times. 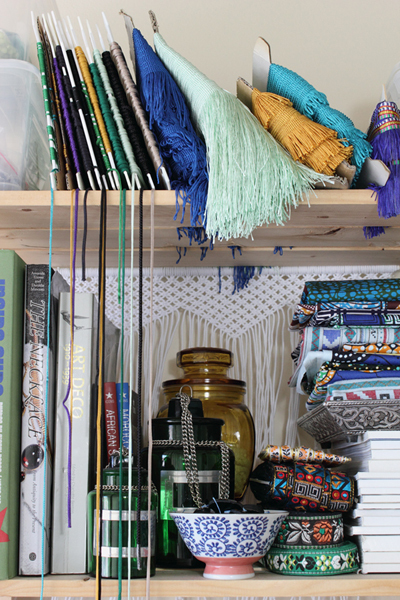 I love collecting beautiful fabrics, cords and semi precious stones and my design process often starts with the materials themselves. I design through the making process, gradually ideas develop and become resolved into the final product. What are your aspirations for Sollis in the future? My immediate plan for SOLLIS is to begin wholesaling my jewellery to boutiques and shops around Australia. I would also like to collaborate with fashion designers and create pieces for their catwalk shows. 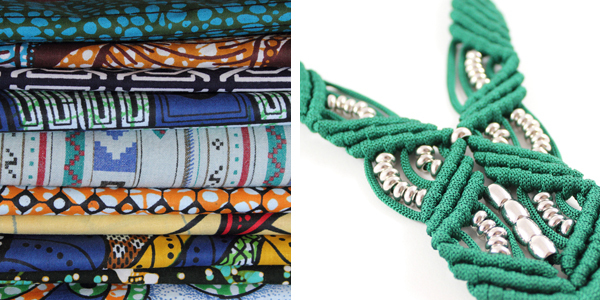 I would love to make a huge over the top piece inspired by Massai tribal jewellery but all created in bold coloured cord, so watch this space! your jewelry is amazing- I truly dream of visiting Australia – but that was for her beauty & people now I may just go & find as many artisans as possible! thank heavens for the world wide web – the world has truly become more intimate! 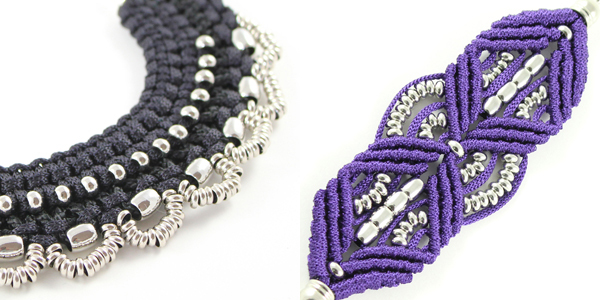 The shapes and patterns made with beads and cord are facinating- I love the purple piece. The colours and textures look great to wear. Can’t wait to see the next collection with agate stones. All the best for SOLLIS and your future ambitions – a great new venture! The jewellery looks fantastic, I am really impressed. 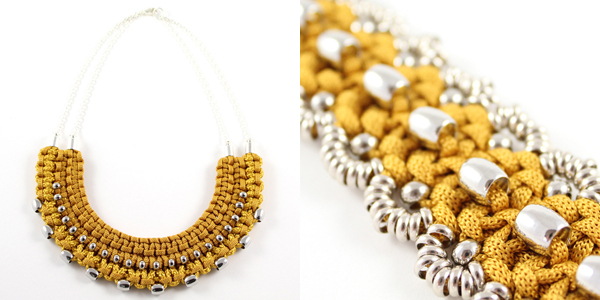 Love the mix of beads and cord. I wish you well with this new collection.